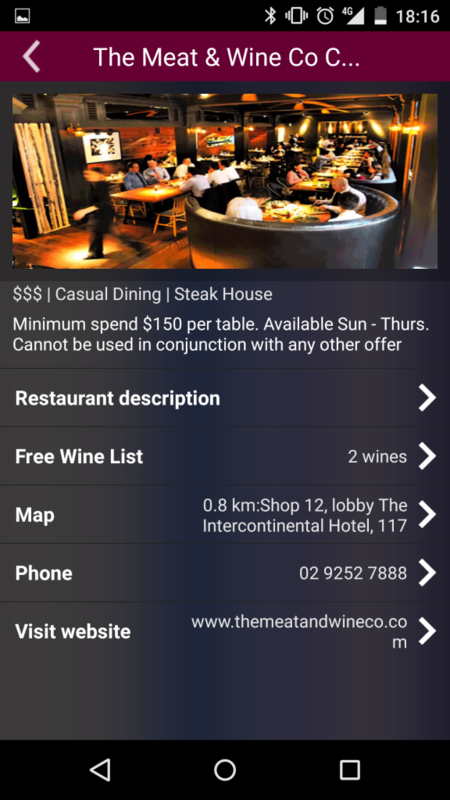 Thanks to free-wines.com I had the pleasure of visiting The Meat and Wine Co at Circular Quay, the Darling Harbour restaurant is a well known Sydney establishment however not many people are aware of their other Sydney location. I feel this branch is a more intimate option with better food and more attentive service. The Meat and Wine Co is well known for their delicious steak, one of the best cuts available is the Monte Black range which was exactly what we went for (one each!). 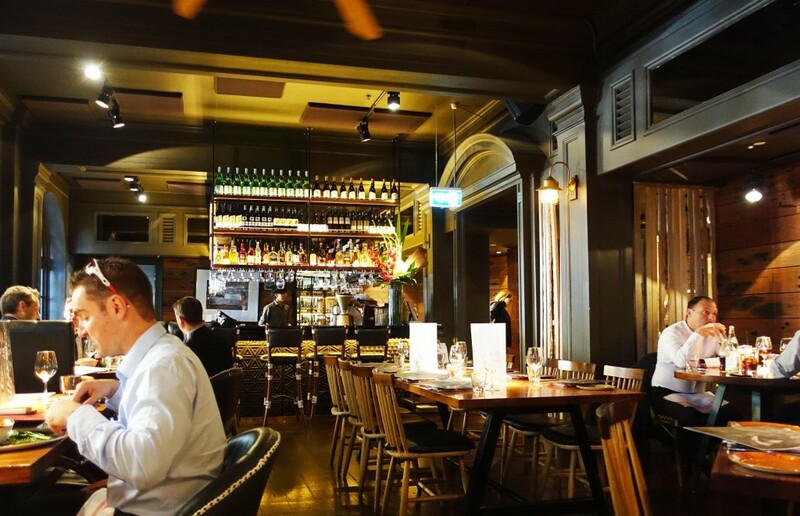 I would definitely have to rate this as one of the best steaks I’ve had in a very long time in Sydney. 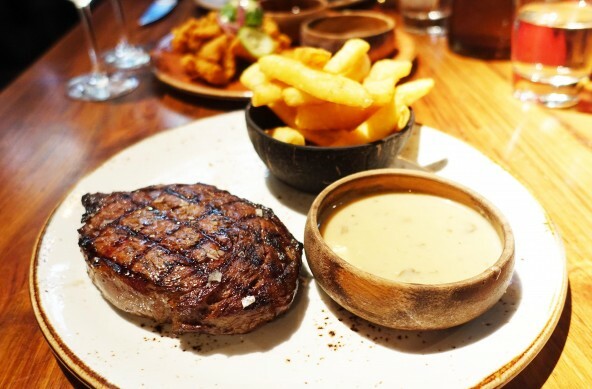 The meat is extremely flavoursome, well marbled, cooked to medium rare perfection and served with a side of sauce and fries. 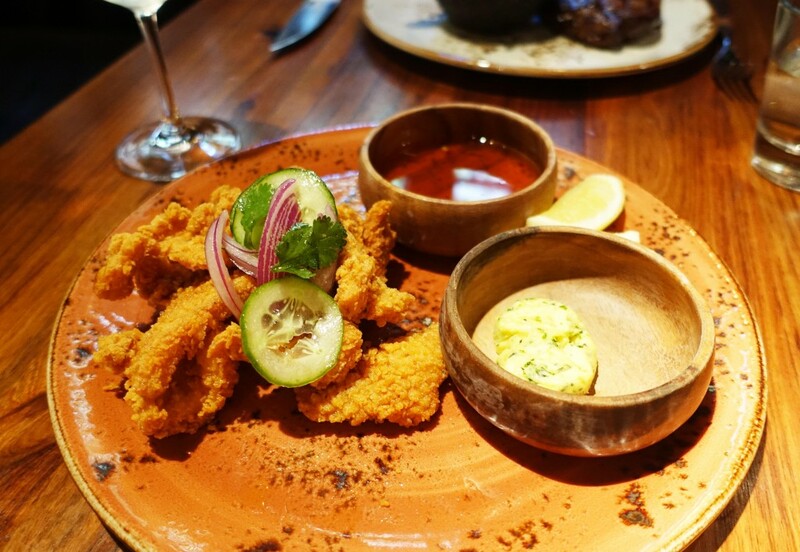 Since we were dining for lunch we decided to grab a simple side to share, the szechuan calamari is cooked extremely tender and possesses notes of pepper and chilli powder. 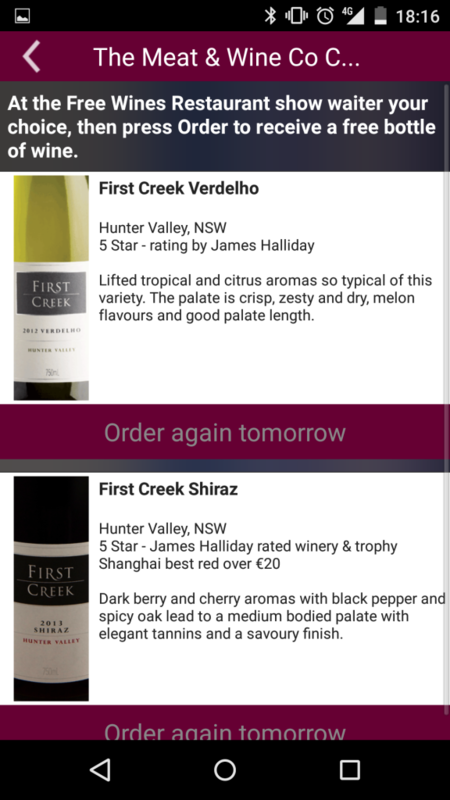 Thanks to free-wines.com we were also able to claim and try out a free bottle of wine, we decided to go with a white to keep it light and refreshing as we had work to get back to right afterwards 🙂 The 2011 First Creek Verdehlo we chose is a multi award winning wine and is very drinkable. 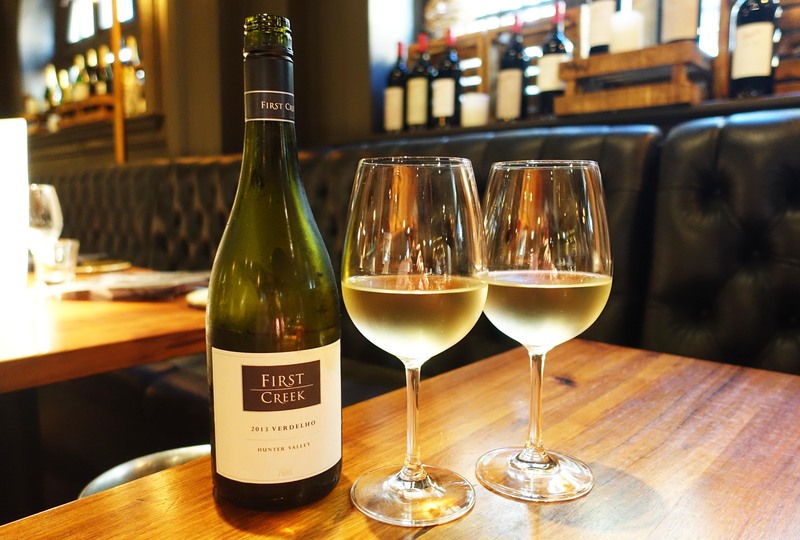 The system for free-wines.com is quite simple. 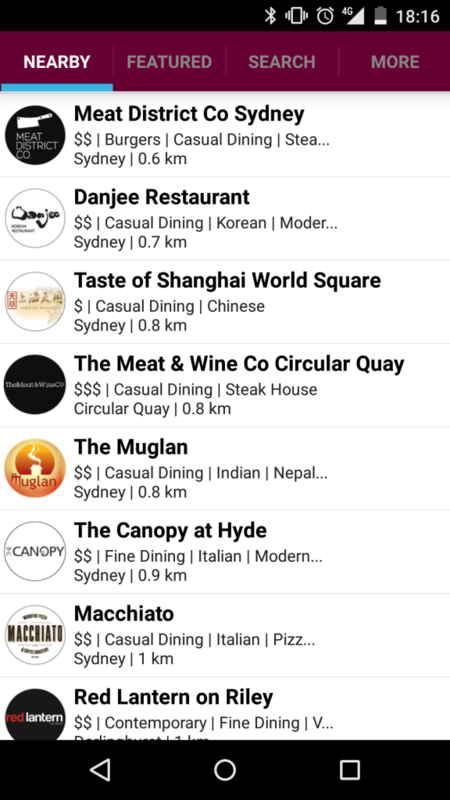 All you have to do is download the app and the rest of it is almost quite self explanatory, you just need to pick a restaurant on the list and when you dine you’re able to claim a free bottle of wine as long as you meet the minimum spend. 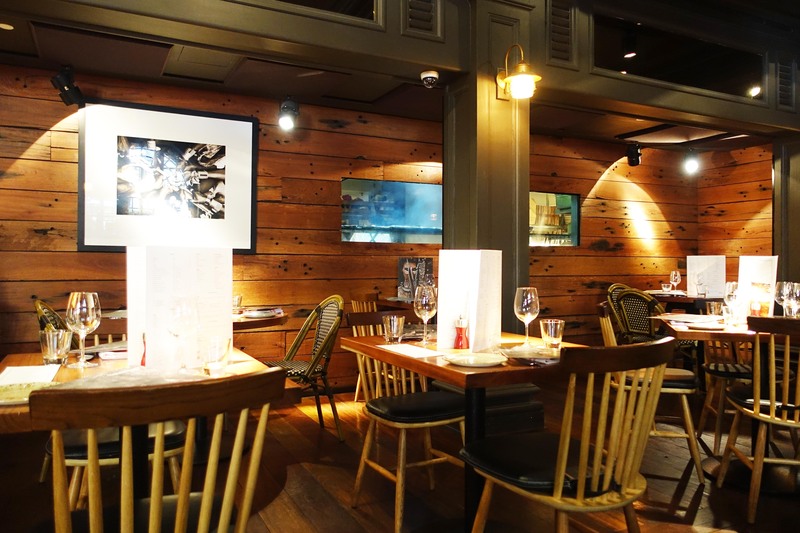 Those looking for a nice venue for a quiet dinner can’t go wrong at The Meat and Wine Co, the steak is definitely top quality and the atmosphere and service is very good. 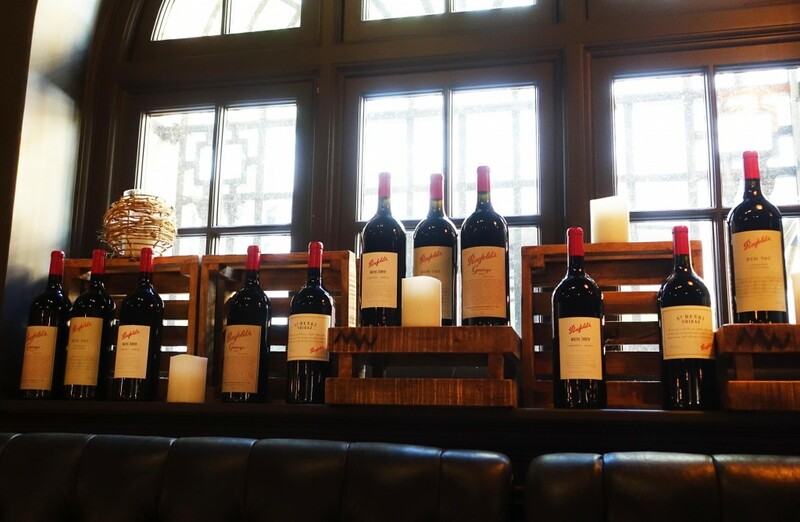 Make sure to grab a free bottle of wine! 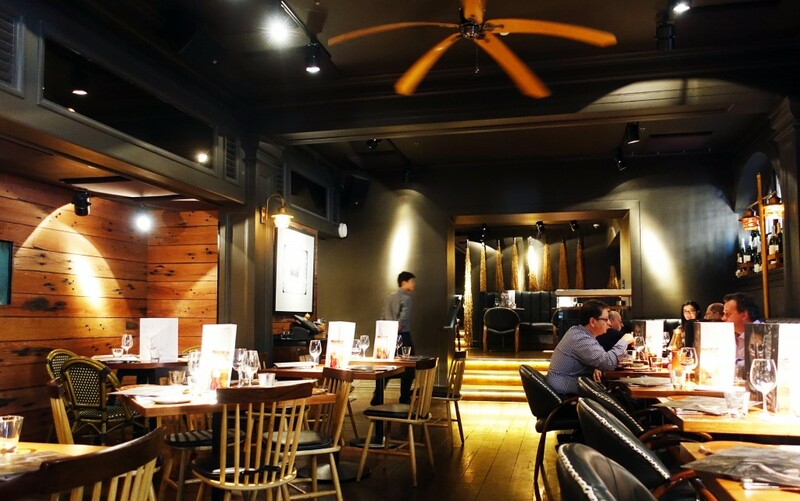 The Food Diary dined as guests of free-wines.com (Zenith Wine Agencies).